The digital marketing industry has revolutionized the world of advertising by allowing users to measure the direct impact of their investments online. Whether you’re a novice or a seasoned expert, we know that determining if you should use display advertising or search advertising is hard. If you are paying to be found online, utilizing the wrong channel can hypothetically ruin the maximum success of your whole campaign. So, it is extremely important to know which option is best for your company or product. Let’s start by defining the difference between the two main online advertising formats. You know those ads that appear at the sides of your screen while your browsing through websites? They are display ads, and they can be extremely influential and lucrative. Display advertising is a marketing channel that allows you to serve the right ads, to the right people, at the right point in time. This type of advertising contains custom eye catching visual content to convey your companies’ message. 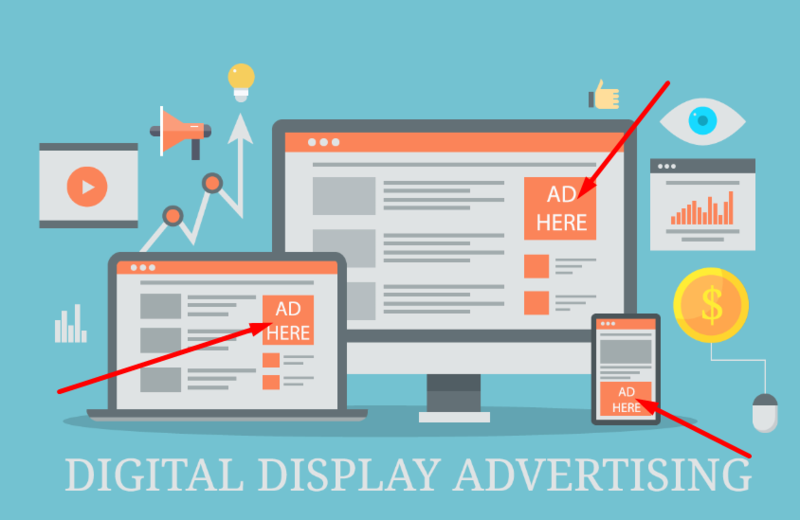 Display ads are typically used to create brand awareness and fuel demand for your product or service. The ads displayed are dependent on a web users search habits and web browsing history and can be targeted to match specific demographics and interests. Basically, as people visit websites with products and services that are similar to those you offer, they will be served ads promoting your company, product, or service. With display ads, brands and companies have the ability to create visually compelling pieces that stand out more than plain text ads. This type of campaign is definitely the more passive option since the ad is served to potential customers as they casually browse through websites. If done right, they are extremely powerful, highly targeted and very cost-effective. 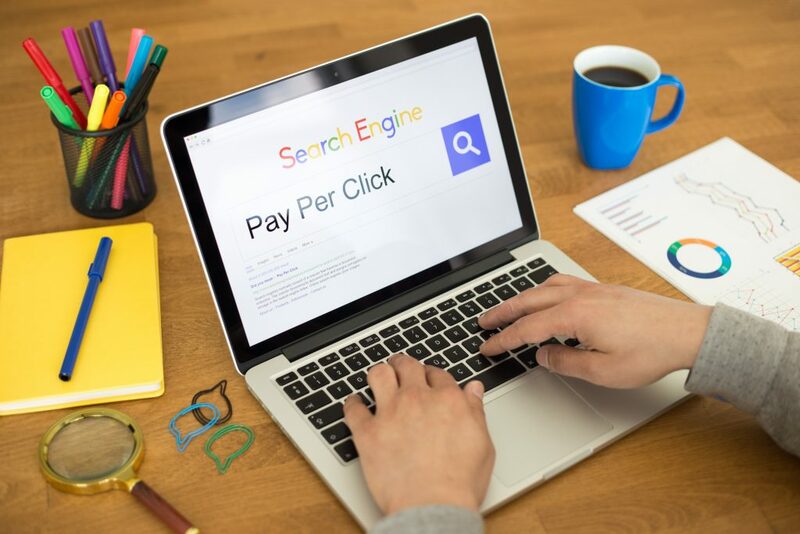 Search Advertising, also known as pay-per-click (PPC) advertising, is the most measurable and manageable way of driving relevant visitors to your website. PPC ads are shown directly on search engines after a keyword or phrase has been searched. In short, this type of advertising is one of the quickest ways to achieve high quality traffic, helping you increase sales and generate leads. With this channel you can bid on keywords so that your ads are displayed when people search for what you are selling. Be sure to bid on the right keywords so that your ads are displayed in front of the most interested audiences. The bidding process has 2 extremely significant elements: the amount you are paying and the quality score that the search engine gives your actual ad. Together these elements determine your rank which dictates the position of your ad and how many impressions it gets. Search advertising works on a cost per click basis, so don’t stress, you’re only paying when you get a user to actually click on your ad. Since search ads are dependent on keywords they generally drive higher click-through-rates than display ads. If done correctly, search advertising brings in the most qualified leads on the internet. So make sure your ads are extremely creative and relevant to user’s search queries, showcasing the most appropriate benefits and features. As the saying goes, don’t put all your eggs in one basket. At Falcon Marketing, we are big believers in balancing your investments to reap the ultimate benefits. Using a combination of these two marketing channels will help you get the most successful results. Reaching your customers from multiple angles and from different points along their journey is the most effective way to create awareness and recognition. If you have any questions or need help with your ad campaigns contact us today!